PM Modi on Tuesday had pledged a further rationalisation of the GST to ensure that items of regular use won’t face the top 28 per cent rate. 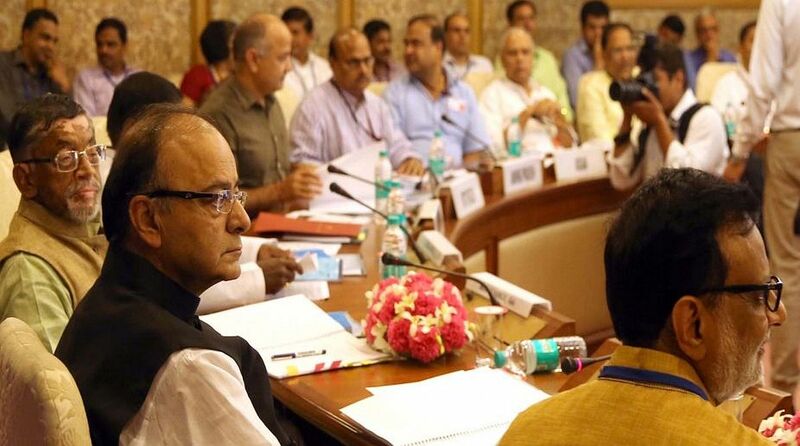 The 31st Good and Services Tax (GST) council meeting chaired by Finance Minister Arun Jaitley began on Saturday at the Vigyan Bhavan in the national capital. Although the agenda of the meeting has not been announced, it is expected that the 28 per cent slab of GST will soon only be restricted to a few select commodities as indicated by Prime Minister Narendra Modi earlier on Tuesday. “Market will closely track GST council meet due Saturday, which is expected to announce a reduction of tax slabs for several items,” Hemang Jani, Head – Advisory, Sharekhan by BNP Paribas had told news agency PTI. The meeting is also expected to address the issue of filing of returns and the refund processes for small and mid-size businesses. “All things related to common man will be 18 per cent or below that… 99 per cent articles will be 18 per cent or below 18 per cent rate,” he said, adding that GST should be made as simple and as convenient as possible. That could mean cement, marble, air conditioners, dishwashers and other items becoming cheaper. “I have already given my suggestion to the upcoming GST Council because that (rate) is decided by all the states together,” PM Modi said in his address at a function in Mumbai. Only 1 per cent or 0.5 per cent of luxury items will remain outside the 18 per cent slab, PM said, flagging planes, expensive cars and cigarettes that will likely continue to be levied at 28 per cent. There are about 40 broad categories of goods that are in the top GST slab. They include cement, marble, tyres, air conditioners, digital and video cameras, monitors and projectors and video games consoles. PM Modi said the GST system had by and large settled into place but the government will continue to make changes as required in the interests of the common man. “We have reached a point where 99 per cent articles can be brought in the 18 per cent or less than 18 per cent bracket and we are progressing in that direction,” PM Modi had said. The Congress accused the Centre of double speak and hypocrisy on the issue of GST alleging that the government is now eating its own words by implementing all that it had earlier mocked. Congress President Rahul Gandhi on Thursday said his party had “jolted” PM Modi over the issue and Modi now wants to implement what the Congress had suggested earlier. Finance Minister Arun Jaitley hit back at Gandhi saying that a single slab GST argued by the Congress president was indeed a “stupid idea”.